December went by in a blink and it’s already next year. All the usual pre Christmas things went as planned and the time off in between was low key and greatly appreciated. For a twist, this year my cousin in Hamilton hosted our Christmas gig so my time off included a trip to southern Ontario. Molly and I spent 3 nights in a row in different beds and, while thankful for all the good visits, we were both happy to be back in Killaloe. As is often the case by this time of year, my house is stuffed with food. 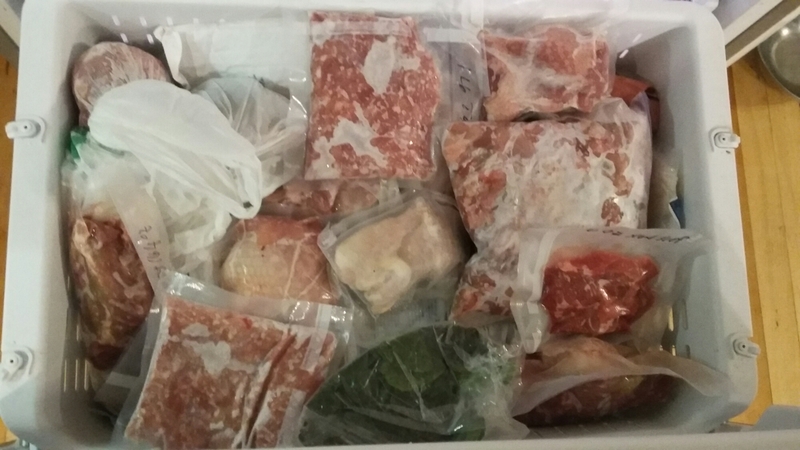 In my freezer I have pig, lamb, goat, bear, deer, turkey, chicken, squid, and shrimp along with various bones and bits and treasures (including some of the sweetest corn ever from my farmer friend David). 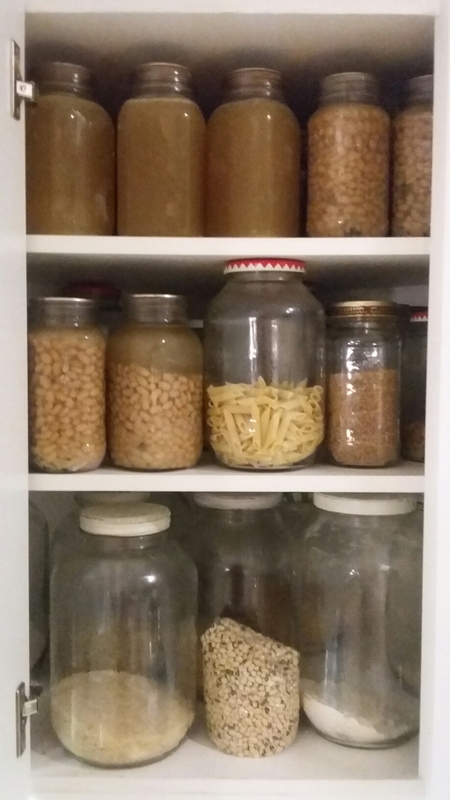 My cupboards are filled with lots of home-canned treats: stock, beans, tomatoes, sauces, and a bunch of relishes, fruits, and jams. Life is good. 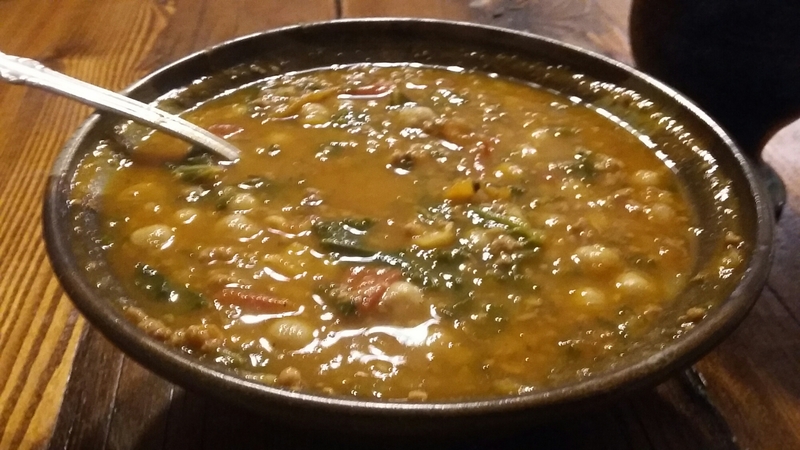 Today I decided to make my version of harira – a middle eastern lamb soup that is traditionally eaten to break the fast at the end of Ramadan. I had picked up kale at the store the other day for the first time in ages. Kale has always been a winter staple for me but I hadn’t felt the urge to buy it lately because I ate it fresh from my garden almost daily from June to November. I was floored at how different it was from my garden kale. I hadn’t really thought about it before but it’s the same as all the other store bought intensively grown food. A little bland. A little tasteless. A little disappointing. 51 years old and I’m still learning new things about me all the time. A kale snob! Who would have thought?! Welcome 2017! A truly special year lays ahead… I’m sure of it.